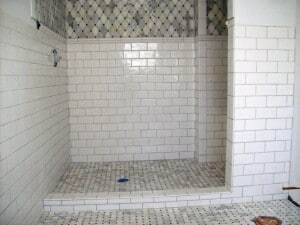 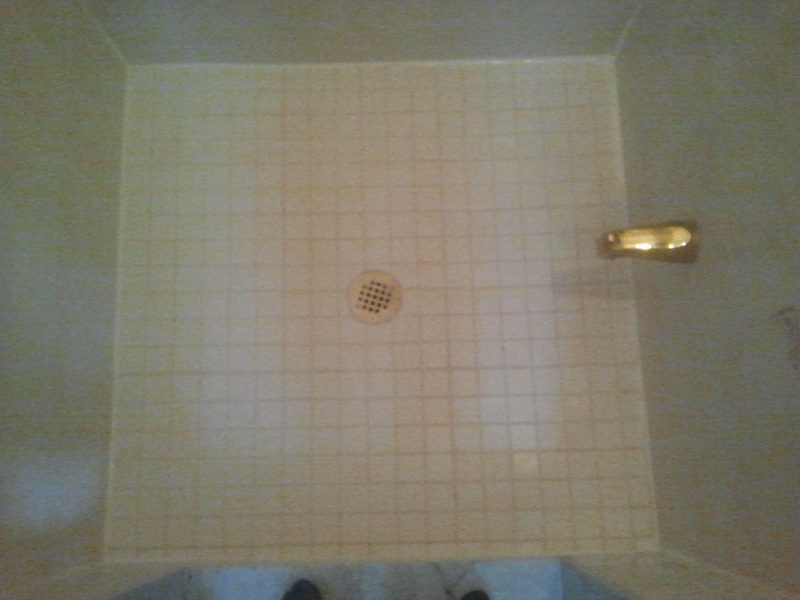 Bathrooms | Odd Job Handyman Services, Inc.
1) First, we removed all of the cracked and broken tiles, and all the old grout in the floor of the shower. 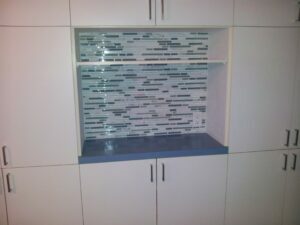 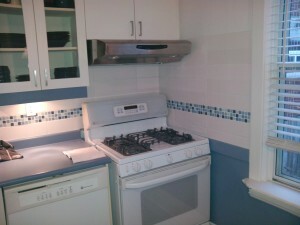 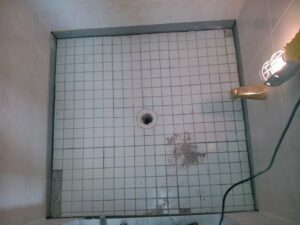 Removal of grout and broken tiles. 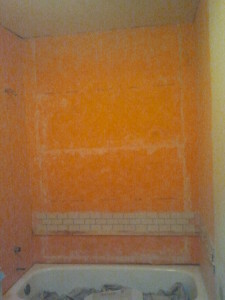 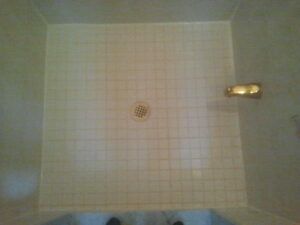 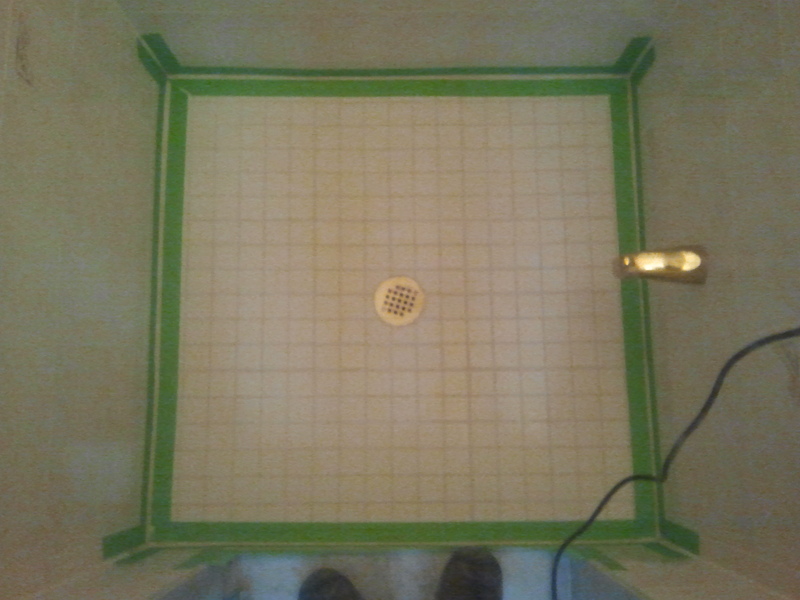 2) Here, we’ve replaced tiles and are caulking the shower stall. 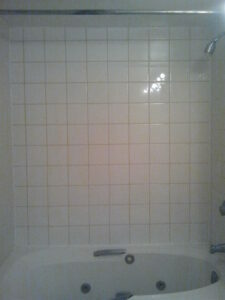 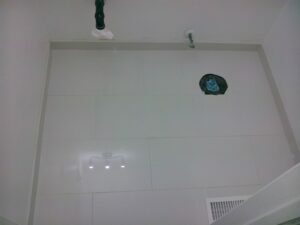 3) And here’s the repaired shower stall – practically new! 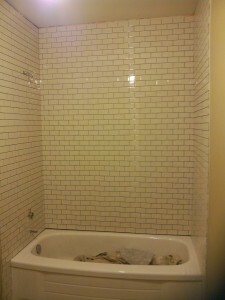 Here are more photos featuring Odd Job’s bathroom renovations. 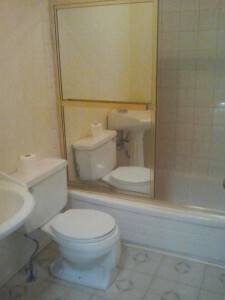 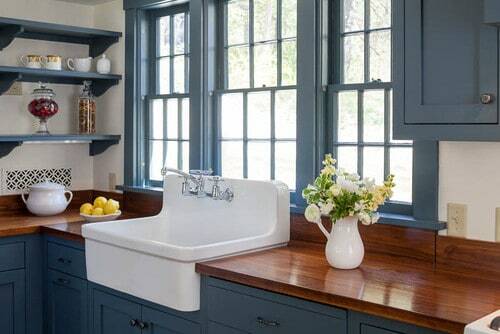 Would you like us to spruce up your bathroom? 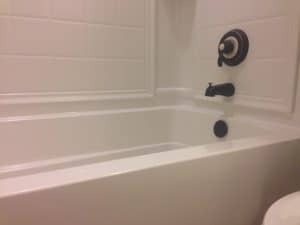 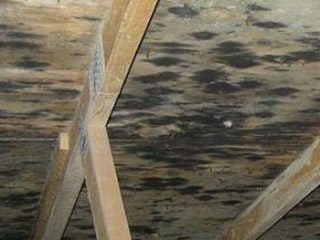 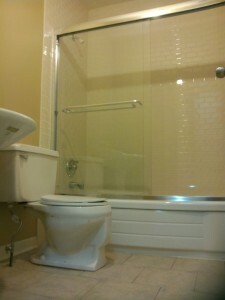 Take a look at our bathroom service list and see what we can do for you.